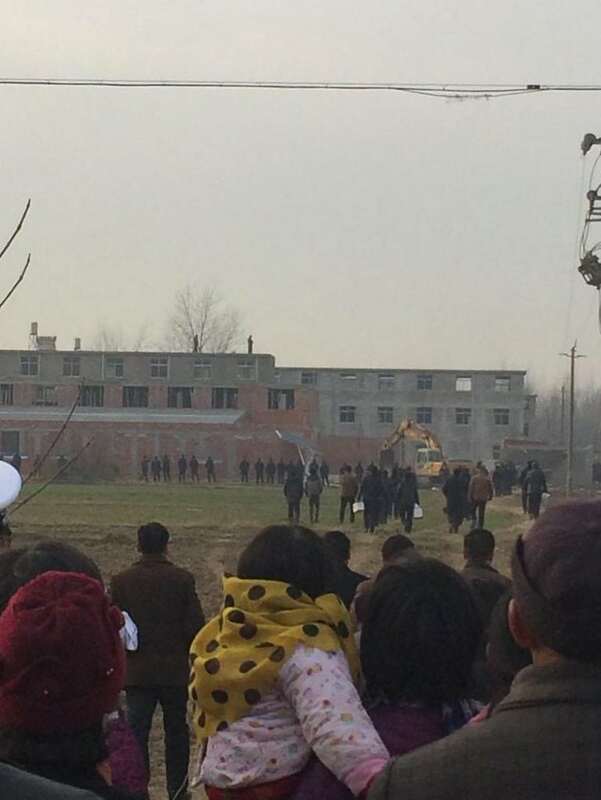 Bitter Winter has recently received evidence confirming that, on December 23, 2014, a house church meeting place was forcibly demolished by the local authorities in Jialou village, Zhangzhai town, Funan county in Anhui province’s Fuyang city, who deployed more than 600 people to complete the task. As of May 2018, the church is still in ruins. 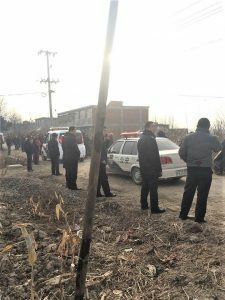 According to evidence we received, at around 10 a.m., more than 600 people including officials from Jialou village, fully-armed police officers, and medical personnel from county and town hospitals, as well as over 200 police cars and private cars arrived at and surrounded the church. Onlookers were moved back over 50 meters away from it. The 328 provincial highway and all rural roads near the church were blockaded and private cars were not allowed to pass. In about one hour, three excavating machines laid waste to this two-storied building. 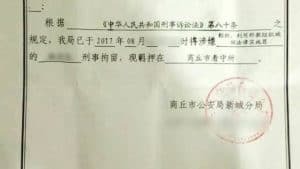 Mr. Zhang Xin (pseudonym, more than fifty years old) was in charge of the church. He said that since December 20, 2014, the village head arranged villagers to guard at the church gate and prevent believers from entering and attending meetings. 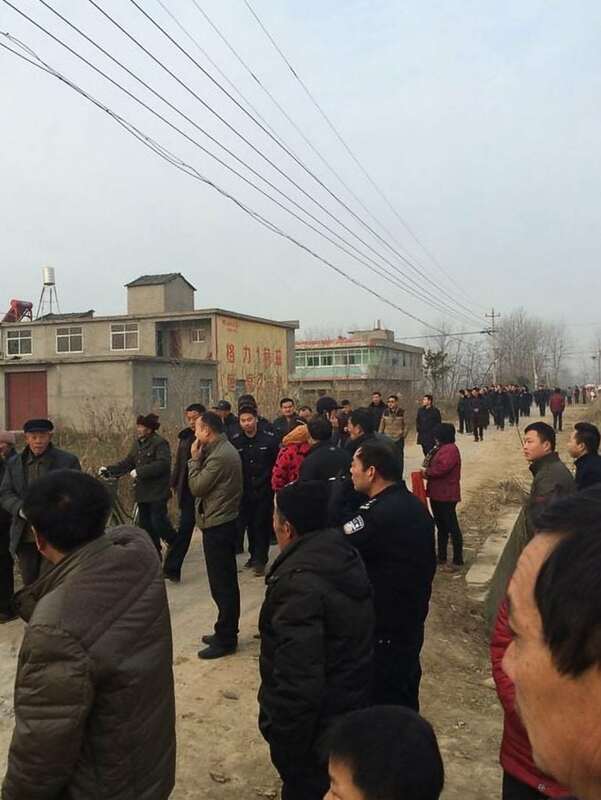 These villagers were paid 100 RMB per day. 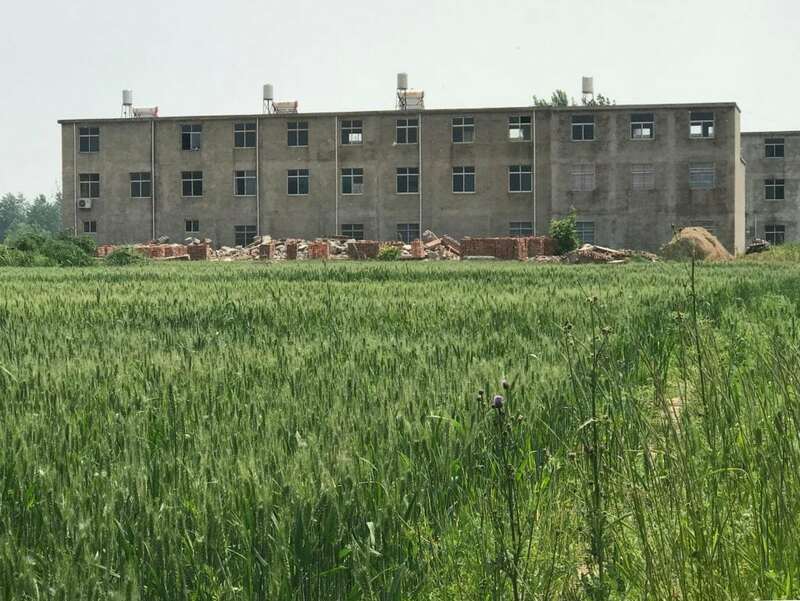 The authorities dispatched over 600 people, including government officials and police officers, to demolish the church (1). 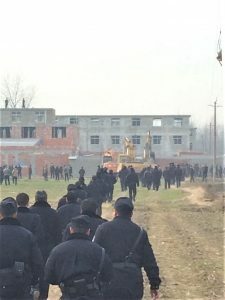 The authorities dispatched over 600 people including government officials and police officers, to demolish the church (2). The police fully armed and three excavating machines are destroying the church. Villagers were pushed back from the building, and not allowed to come nearby. In May 2018, the site of the demolished church is still in ruins.